Wow, do we have a fantastic Springtime Beauty promotion to tell you about! 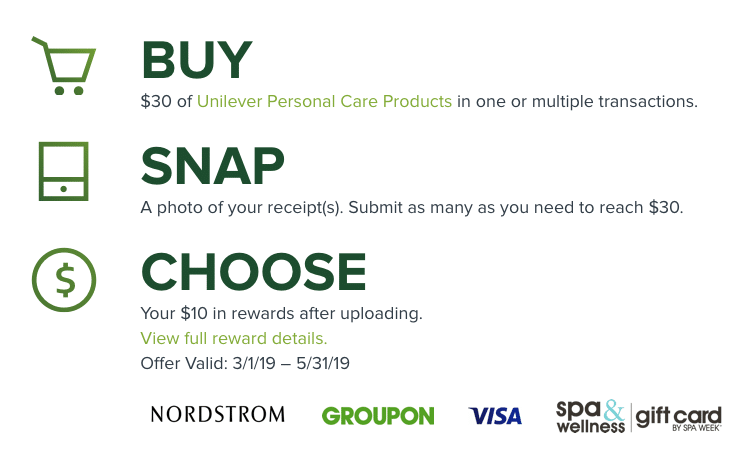 Through May 31st, head on into Safeway, and you can earn a $10 reward back on your purchase of $30 in select Unilever products! Don’t worry about having to buy them all at once because they can be purchased over multiple transactions. All you have to do is create an account on TakeANewLookRewards.com on your mobile device or computer, log in and upload a photo of your receipt(s) before May 31st. Within 48 hours your submission will be reviewed and if it’s accepted you’ll receive an email to log back into your account and choose your reward! The Rewards include $10 VISA Gift Card, Nordstroms e-Gift Card, or Spaweek gift card. Visit the site for all the reward details. 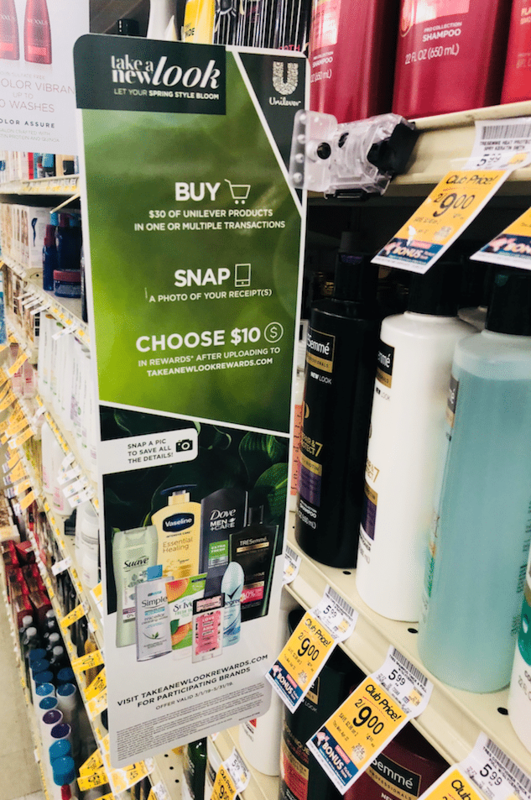 Be sure to take advantage of the hot deals on TRESemme Pro Collection Hair Care, Love, Beauty & Planet Hair Care and more to get the extra $10 reward bonus.